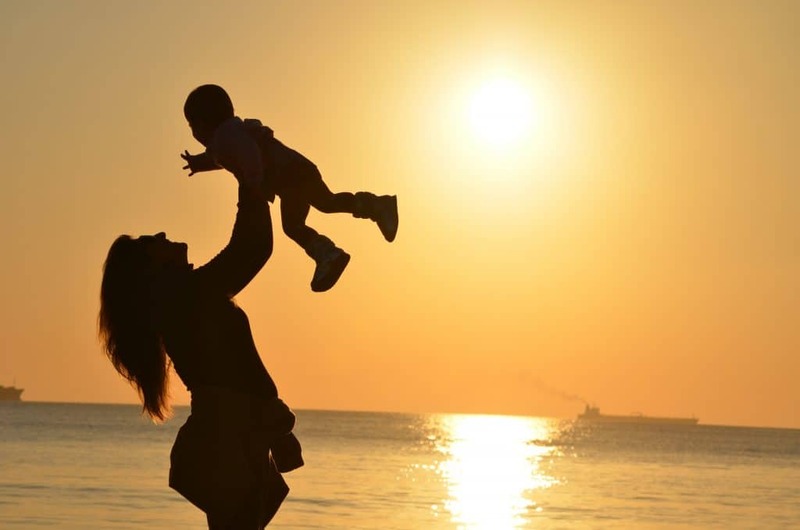 If You Could Go Back In Time, What Would You Say To Yourself Before You Became A Mum? 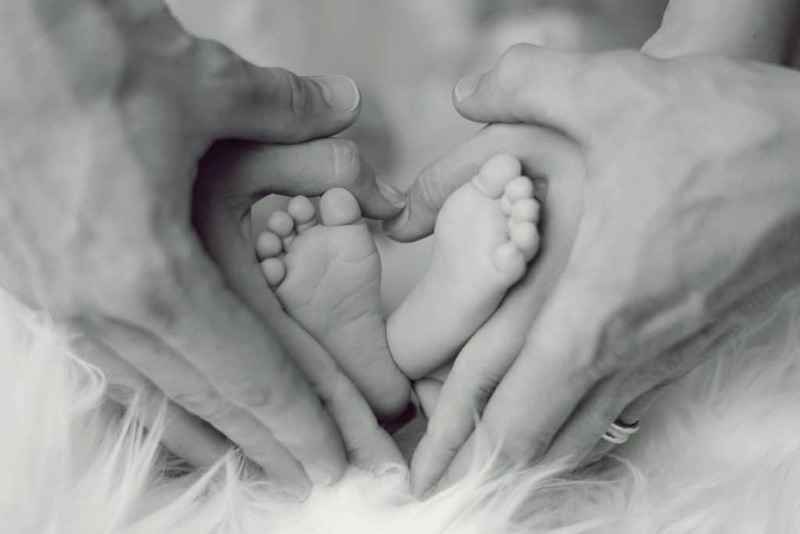 Becoming a mother is a pivotal point in any woman’s life. We think that we are ready. we have 9 months to prepare, to read and to learn. From the moment that we announce our pregnancies, every man and his dog takes every opportunity to tell us what we will experience, how it will be and how we will feel. The truth? Through all of this advice, there are vital pieces of information that get left out. 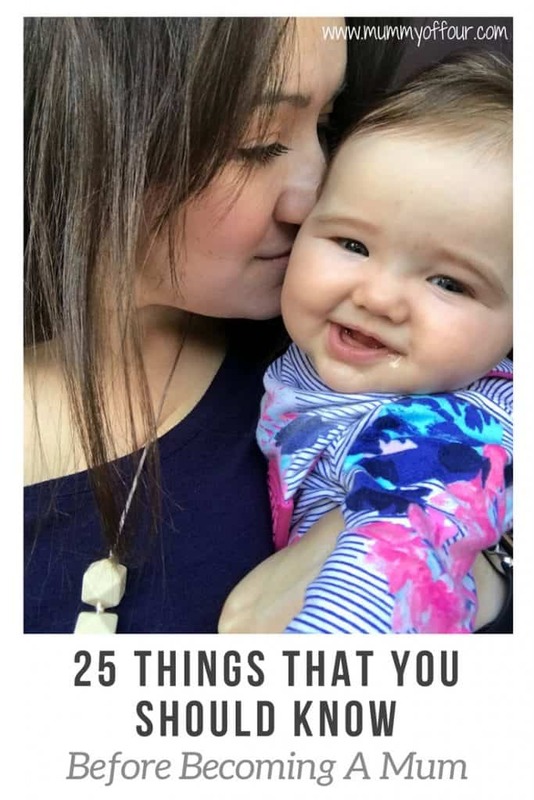 Here are the things that I wish I had known before becoming a Mum. As you will know if you have read my post, Doing This One Thing While Breastfeeding Will Help You Get More Sleep, I have a varied breastfeeding journey. My first baby was a breeze, he took to it, I took to it, it was natural and easy. It started so well with my second son, then started to go horribly wrong. My baby just sort of went off feeding, he wasn’t gaining weight and I was incredibly stressed. I couldn’t understand it, I had done this before, I knew what I was doing, breastfeeding was natural. What I wish that I had known, is that sometimes, Mums and babies need help. I wish that I had known just how many Mums require extra support for feeding to go well. I wish I had know at the time that I wasn’t being a bad mother, I just needed to speak up. I was lucky. After a scare where the health visitor told me that if he hadn’t gained weight with 48 hours, then he would be taken into hospital to be tube fed (48 of the most stressful hours of my life), I was put in touch with an amazing breastfeeding support worker who help my hand and helped turn my son into a good little feeder. I wish I had known that this support was available and to ask for it sooner. This I was not prepared for. Up until the point where I got pregnant, I was reasonably level headed. As I became a Mother, suddenly I realised that the world was a dangerous place. Everywhere I turned were sharp corners and trip hazards and ways to get burned or to choke. I would have vivid dreams that the house was on fire and I could not get to my baby. Watching the news was totally out of the question, as anything that was even slightly sad in relation to parents or children made postnatal me cry like a baby. I don’t think that I was prepared for this either. I thought to myself when I was pregnant with my first “I’m only so worried that he’s ok because he’s inside me and I can’t check that he’s ok”. Then he was born and they tell you to worry about cot death, then on to choking hazards, then it’s road crossing and meningitis and if they have friends in school. Soon it will be driving and whether they get into the university they want and if they are happy and it just never stops. When one worrisome phase passes, so it is replaced by another thing to concern ourselves with. Which brings me to my next point. Yes, the world is scary. Yes, this precious little being that is totally your responsibility will give you years of things to worry about, but you cannot let it cloud your days and years. 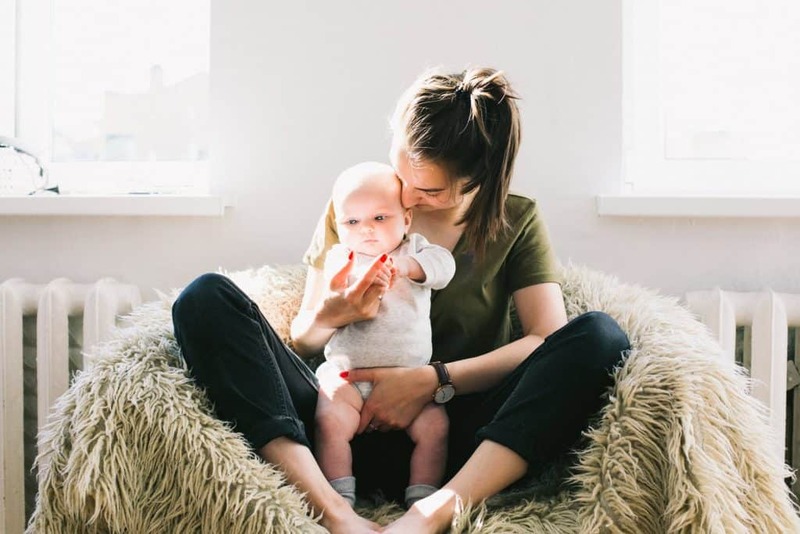 The last thing you want it for your children to get to adulthood, totally unscathed by all that you worried about, but with a nervous wreck of a mother who has not been able to enjoy there upbringing. So buy the safety gates, hold their hands when they cross the road, try to take sensible precautions, but don’t let the fear consume you. It may be easier said than done, but know that you are doing all that you can as a Mum and try not to let the worrying taint this precious time. Before I had babies, I loved my sleep. I needed my sleep. If someone had disturbed my sleep, even a little, I was good for nothing the next day. I was seriously worried about how I would cope with a newborn keeping me up. The truth? You just cope. Your brain becomes like an economy light bulb; on, but not very bright. You learn to function for a while in a state of slight stupidity and that’s ok. It is a phase, a short one in the scheme of things, and you will get through it. Baby brain is a genuine thing, some sort of genius evolutionary mechanism that seems to shut down all but essential functions until your baby gets older. No-one will expect you to be functioning at Mensa level anyway, so don’t panic. Once again, that leads on to my next thing that I wish I had known. Just after having your first baby is probably the only time in your life when you can get away with this. My advice? Wallow in every second of that new Mum phase. Do not do anything at all for those early days that is not directly related to ensuring that you and your baby are fed and rested. Stay in your PJs as long as you want. Accept offers to bring you food. Binge watch endless TV series while cuddling your baby (check out my favourite TV Shows To Binge Watch While Breastfeeding here). Literally everything else can wait. The only person who will put pressure on you to do laundry or cleaning or anything else other than directly looking after your baby is you. Unfortunately, you will probably not realise just how right I am about this until you have your second baby and it is all different. For the second time around, there is no luxury of just sitting and just feeding and resting. No, the second time around you will be fully consumed with juggling the needs and schedules of more than one child with totally different requirements. The only thing that you will ind time to do incurs yourself for ever missing a second of that lovely quiet postnatal time with your first. I cannot emphasise this enough, you need your Mummy tribe. You need to have people that can relate to what you are going through, or you may just lose it totally. When I had my first baby, I hardly knew anyone with children and it was so hard. I didn’t realise just how much I was missing out on until I had my second and really clicked with a bunch of Mums from one of my baby classes. Suddenly I had all of this support in the form of others that really got it. I had people to make me realise that what I was going through and how I was feeling was totally normal, and the power of that cannot be underestimated. Luckily, with the online world being what it is, we not longer have to rely on people that we physically meet and see in the flesh alone for this support. The internet is brimming with other, slightly lost and bewildered Mamas who just want to know that they are not losing the plot. I am lucky enough to have a wonderful and amazingly supportive group of Mums in my Facebook group, Making Parenting Easier. If you are a Mum who would like to join our lovely little community, please click here to join, we would love to have you. Oh if only I had known all of the awesome parenting hacks that I know now before I had become a mother, how easy would my life have been? It is these hacks that I share in so many of my blog posts, hoping to give other Mums the shortcuts that I have had to learn the hard way. If you want me to send some of these hacks directly to your inbox, pop your details in the box below. Everyone told me, just as I am sure that they told you, just how intense the love you would feel for the tiny human that you squished out of your body would be. The truth is, until I experienced it for myself, I could not comprehend the intensity of this emotion. So, the chances are, even if I could go back and chat to my pre child self, she would never really understand this point anyway. 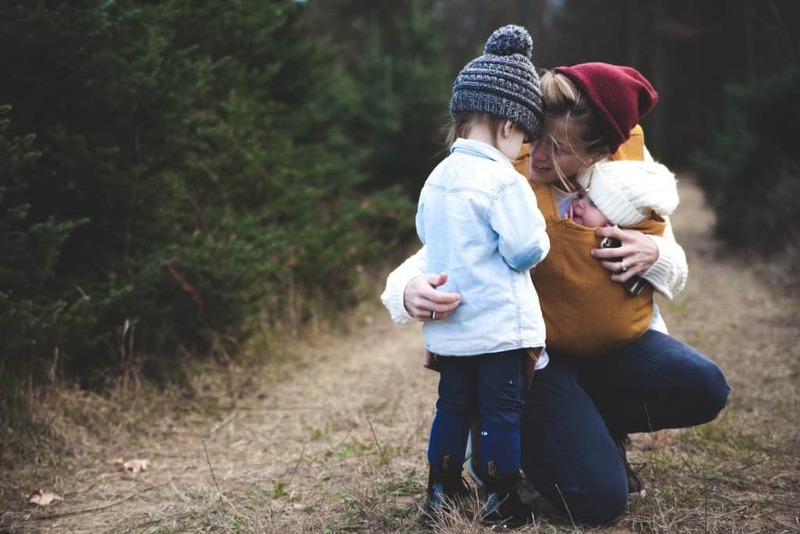 I asked some fellow Mums that also blog, what they wish that they had known before becoming Mothers and here’s what they said…..
That life won’t always be easy but it will always be worth it. And you are so much stronger than you think! That postnatal depression is a real thing and that there isn’t any support in place to help new mums out. To make sure you surround yourself with a huge support network in case you find things difficult. The friends that you think you’ll never lose touch with; you will. They don’t have children and don’t realise how hard things can be. But you’ll make amazing mum friends who will hold you up when you feel as though you are falling. That it does get easier and you’re doing ok. Oh, and sleep while you can. Yeah right. Also save up now. Be kind to yourself. Those preconceived ideas you have of how you are going to parent before you actually have the child, don’t stress when they go out the window. Not going to have a dummy… give the child a dummy if you need to to get some sleep. Not going to plonk your child in front of the TV ever… do it if you need to get dinner cooked. Going to make all your own varied and highly nutritious meals for your precious bundle when they start weaning… do that but don’t be afraid of convenience and pre-prepared items as there is often a time and place for everything. Enjoy the simple pleasures before you have children. Going to the shops, drinking tea, eating anything in peace and slowly, enjoy the sleep ins. I look back and realise how much I used to take for granted!! Make the most of every bit of sleep you get and enjoy every lie in. Once those babies arrive, you will crave sleep and 8am will be classed as a lie in! I would say to look after my own wellbeing as well as the rest of the family. That it is utterly relentless. No matter what age/ stage it doesn’t stop. No one told me that! But I wouldn’t change it for the world. If only I’d known it wouldn’t be as hard as everyone says. Months of being pregnant and expecting an apocalyptic change to our lives that would ‘never be the same’, when in reality, she fits into our lives like she was always meant to be here, and it’s not half as hard as I thought parenthood would be! I’d tell myself never to compare myself to any other parents, ever. We’re all different and experiencing and processing things in our own unique way. We’re all doing our best and it’s not a competition. I spent too long comparing myself to other mums and wondering what I was doing wrong before figuring out how destructive this was to my mental health. There is no wrong way or right way of parenting, and unfortunately it doesn’t come with a one size fits all guide ! Never compare kids, they all get to milestones at different times, never be afraid to ask for help and most importantly eating a bar of chocolate while breastfeeding is highly recommended! There will be tough days and nights but there will be great moments all the time and somehow you will make it through. I still need to tell myself that! And also you will make some of your best friends in this stage of your iife as the friends I have made since having kids somehow have been through some of the worst with me. You will feel lonely a lot but you’re never alone. All mums go through it and finding a group of mum friends you can trust will be everything! What do you wish that you had known before you became a parent? Such a lovely post, I totally agree that having support and needing to feel normal is so important to combat all those fears and to cope with the neverending tiredness! Thanks for including my comments. Thank you so much for contributing! Making the most of when no one expects anything of you – THAT ONE! I fully embraced that and so glad I did. Don’t know how I’d have coped otherwise! And congrats, someone loved this post so much, they added it to the #BlogCrush linky – feel free to collect your “I’ve been featured” blog badge!